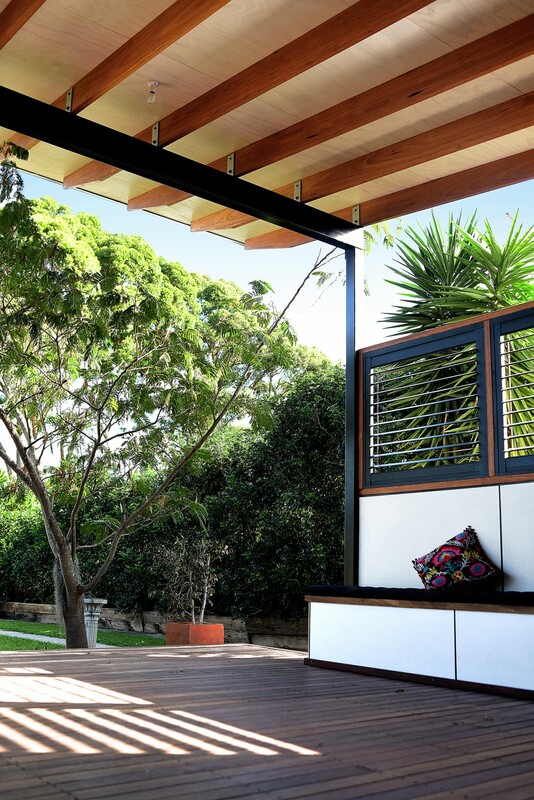 Entertaining Areas. 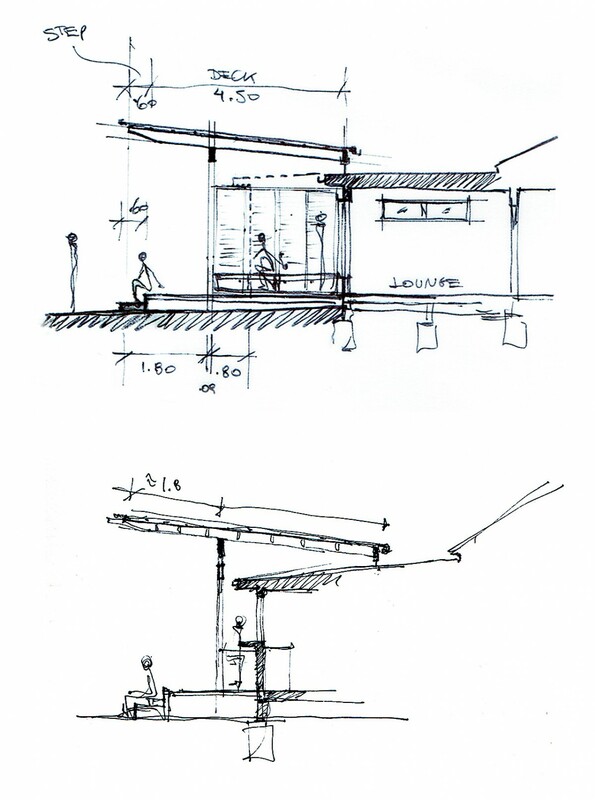 The brief for this project was to provide and indoor-outdoor link to an existing house via a proposed deck & pergola. 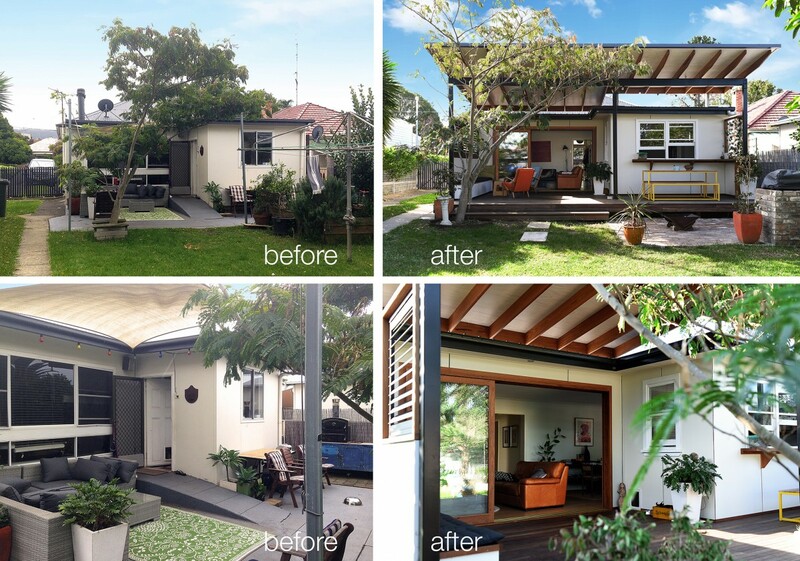 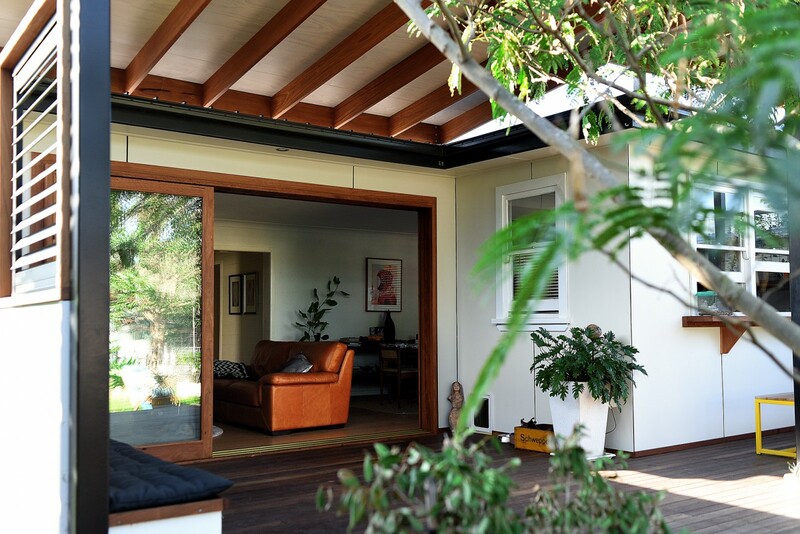 Sliding recycled hardwood doors replaced an existing window in order to link the house to the backyard in a direct manner. 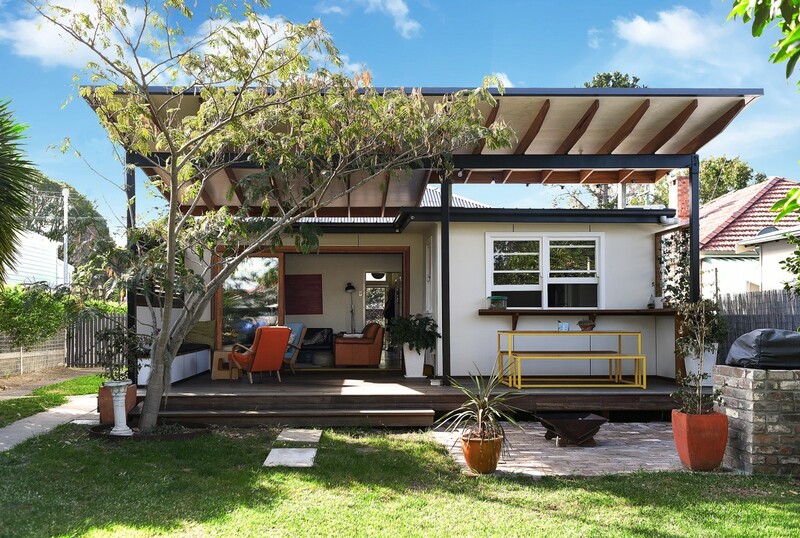 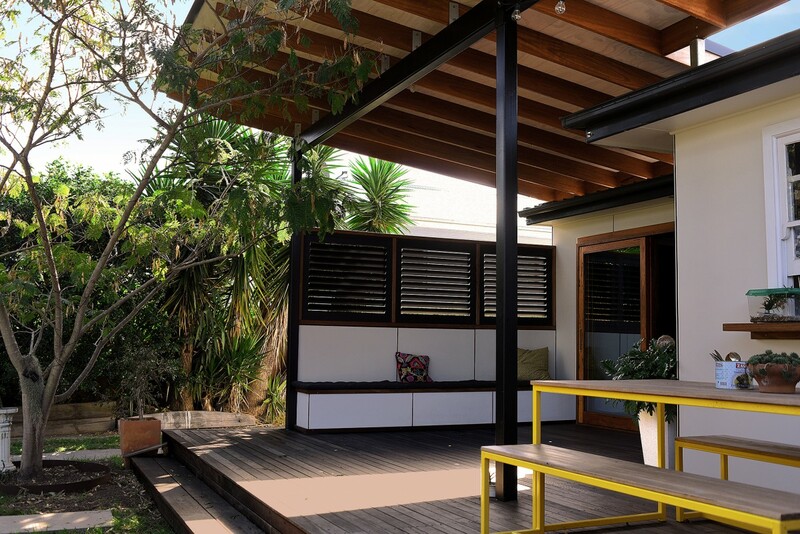 Black steel portals hold a skillion cover above, with timber beams cantilevering towards the back. 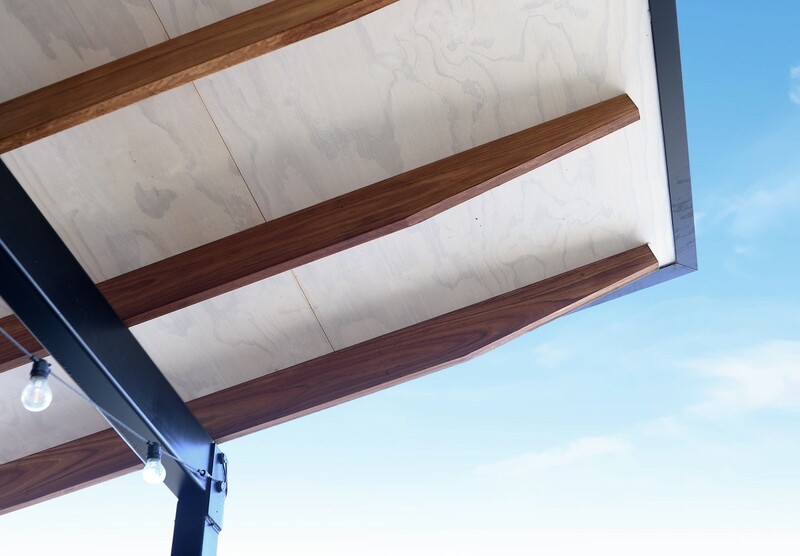 White washed plywood ceiling provides contrast, and a large deck connects to the yard and fire/bbq areas.